As the name suggests, this basket with wide net like structure on all sides prove really useful for draining different laboratory appratus after washing them. 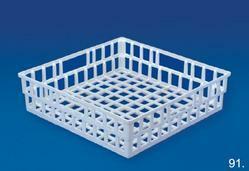 Made of polypropylene, this basket can be repeatedly autoclaved. As the name suggests, this basket with wide net like structure on all sides prove really useful for draining different laboratory apparatus after washing them. CEMdrain is a high quality special-draining system. Conventional drainage system (sand, gravel, drainage pipes and filter fabrics) restrict the creativity of architects and construction engineers in the design and construction of buildings, (re)development of urban areas and infrastructures such as roads and high-speed railways. - Draining basket with wide net like structure on all sides. - It proves really useful for draining different laboratory apparatus after washing them. - Pack of 6 Pieces. As the name suggests, this Draining Basket with wide net like structure on all sides prove really useful for draining different laboratory appratus after washing them. 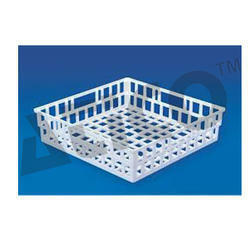 Made of polypropylene, this basket can be repeatedly autoclaved. With our expertise and trustworthiness, we are engaged in offering an optimum quality range of Drain Basket.